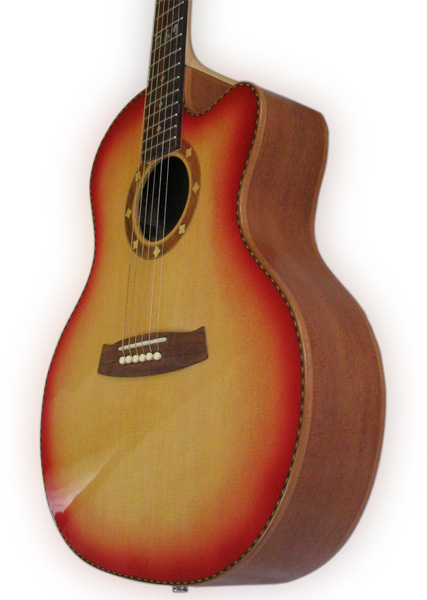 Shape: An acoustic guitar with X braces in the mini jumbo shape and oval cutaway. Body: The body depth is thin custom size for reaching adequate volume and whole register by the acoustic play. 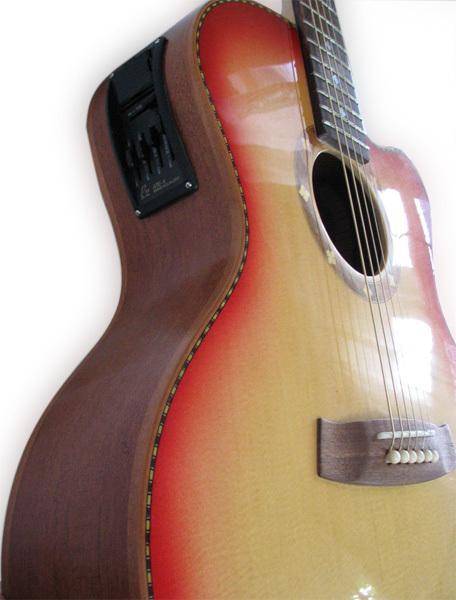 Neck: Neck is profiled in C shape with 14 "radius and medium frets. 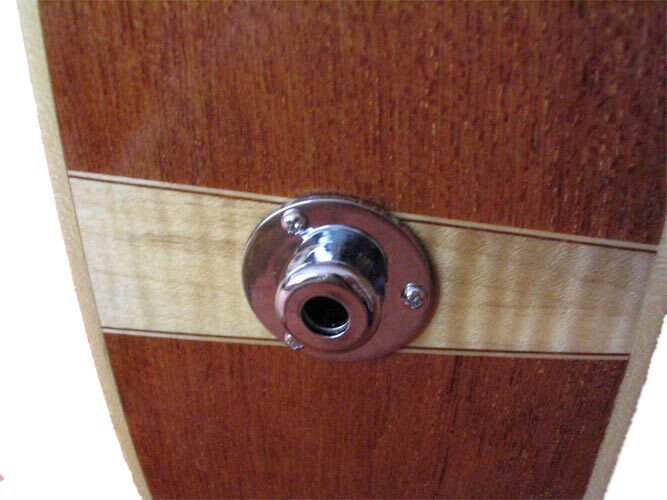 Other: For maximum exploitation, acoustic character is cavity for pre amp reinforced with braces so there is no production sound loss by using pre-amp pocket in the sides. 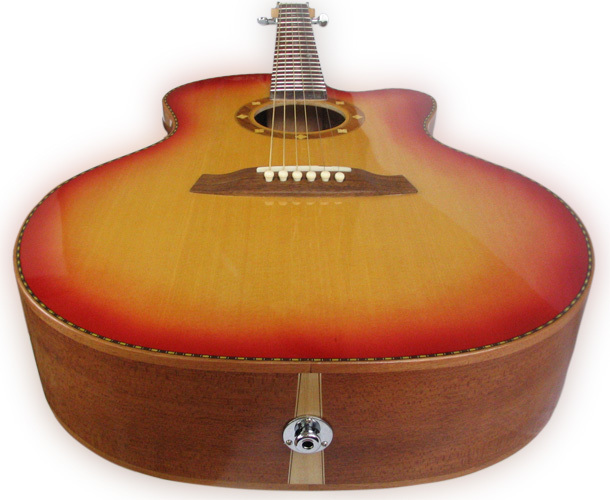 Sound: Combination of mahogany and spruce gives the guitar tonally medium range, where are the balanced trebles and highs. 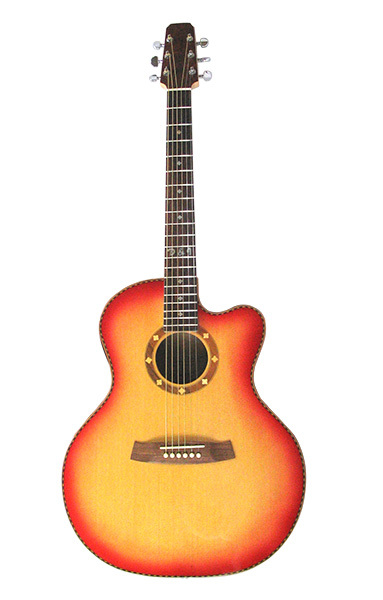 Guitar can be in useful to play acoustic or on amplification "equipment".